We can hook you up with Medical Marijuana doctor coupons, deals, vouchers and great low price offers for first time Medical Marijuana evaluations or renewals in Bakersfield. 420EvaluationsOnline automated processes with a human touch make it possible for us to offer the most competitive price in the business and provide you with the best 420 deals. With a population of about 400,000 (2016), Bakersfield’s is the 9th largest city in California. 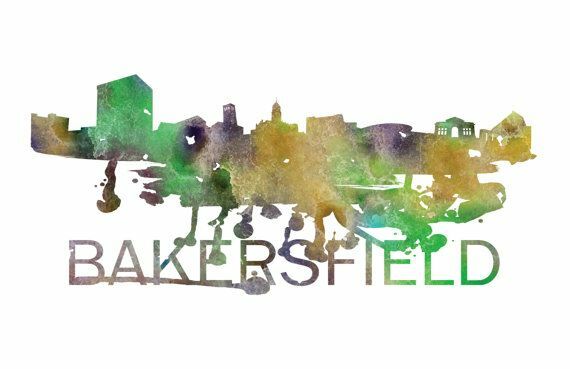 Bakersfield is big in the agricultural business and does a little bit of everything else, oil and gas, energy, aerospace, mining, manufacturing, distribution and more. Bakersfield was once swampland infested with malaria carrying mosquitos flying about. After the gold rush of 1848, settlers flooded the San Joaquin Valley. With the discovery of more yellow and black gold (oil) in the 1950's, infant Bakersfield grew from a stand of log cabins into a full fledged community. The music capital matured into a city and was officially incorporated in 1873. Kern County allowed dispensaries under Measure G in designated industrial zones, provided they were not near schools and daycare centers. But, in 2014, measure G was challenged in court, and the judge threw it out. As of today, Measure G is off the books, there is no zoning for marijuana shops. An emergency ordinance disallowing more than 12 plants per parcel is in effect in Kern. Growing more than 12 plants per parcel in Kern county is a misdemeanor violation, with a possible 6 months in jail or $1000 fine per plant, in addition to nuisance abatement costs. These dramatic rulings from the state’s Fifth District Court of Appeal - April 2016 will wipe out nearly eight years of county medical marijuana regulation, returning to Kern’s laws of 2009 when MMJ shops were only required to be nonprofit, while complying with state rules that dispensaries be located one thousand feet from schools and designated public facilities. Deputy Kern County Counsel Charles Collins said will consider an appeal. The Kern County Board of Supervisors had voted 5-0 in March to initiate litigation that would close five designated marijuana dispensaries. In the County's eyes, Medical marijuana dispensaries were not allowed to operate in Kern County or Bakersfield designating five dispensaries, three on Niles Street in Bakersfield and two in Rosamond. However, only a month later, the county's last eight years of medical regulations were wiped out in court. Is Bakersfield is losing its micro-war on drugs? For every dispensary they shut down, two more open. The number of unincorporated medical marijuana dispensaries in Bakersfield ballooned to around 70 despite law enforcement efforts. Bakersfield police raided and shut down about 33 dispensaries since August 2013. "The county is pursuing injunctions “against each and every one of them.” - Deputy County Counsel James Brannen. However, a recent court ruling declared that the city's regulations were not consistent with California law and the legality of dispensaries still is up in the air - as of April, 2016. Disclaimer: To verify the ultimate accuracy of any information provided herein; before taking action, readers should refer to Kern County's actual website, or the original source. HOW & WHERE CAN I BUY MEDICAL CANNABIS LEGALLY IN BAKERSFIELD? To purchase Marijuana from any licensed Marijuana Dispensary or Club in Bakersfield, you'll need a Doctor's Recommendation and / or MMJ-ID. Click here to get an MMJ evaluation in minutes here online. You don't have to leave home - everything is done online and you don't pay until you're approved. Where Can I Find CANNABIS Dispensaries, Clubs and Collectives in Bakersfield, CA? No, the little old lady who lives in a shoe does not reside in Bakersfield. 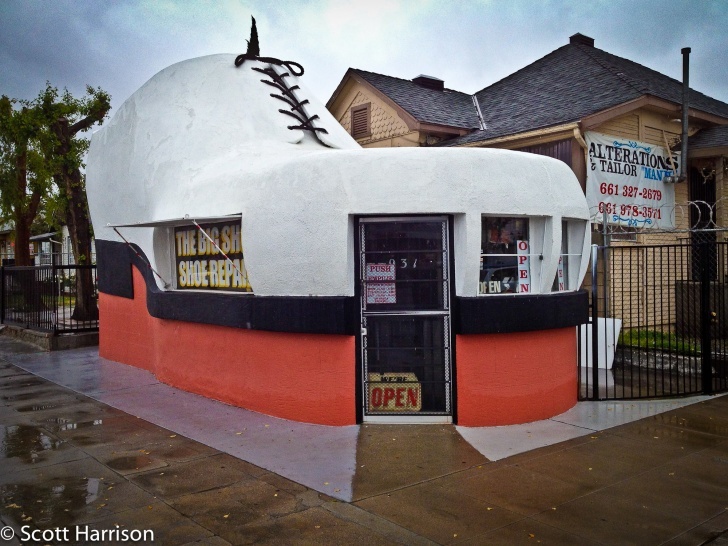 Built back in 1947, the giant shoe is one of at least three giant shoes in the United States. Originally it was called Deschwanden Shoe Repair Shop. It is thirty feet long, twenty feet high, and built of plaster on a wood frame. The building also contains a fifty foot long rope as a shoelace. Click to apply for Bakersfield Medical Marijuana Card renewal.